Hello and welcome to another episode of Searching Standard. As you know, I'm always on the lookout for decks featuring cards not typically seen in Standard, so when I came across a deck featuring Aerodactyl TEU 130, I had to check it out. It was posted on the PokeBeach Forums by a user named Wechselbalg. Let's take a look at the deck. Aerodactyl TEU 130 is the heavy hitter in this deck. 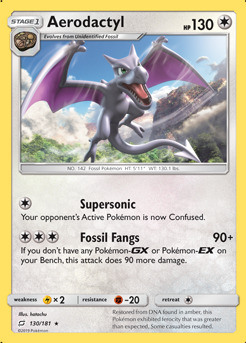 Since you have zero Pokemon-GX (or Pokemon-EX for that matter) in this deck, Aerodactyl TEU 130's Fossil Fangs attack will always deal a minimum of 180 damage. That's enough to knock out all but the heartiest Pokemon. Malamar FLI 51 is the engine that really makes this deck run. You'll generally want to try to get multiple copies of Malamar FLI 51 into play so that you can take advantage of its Psychic Recharge Ability as often as possible. 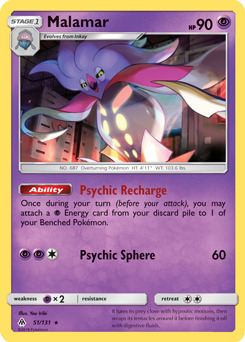 With that in mind, take advantage of paying the retreat cost of your Pokemon in order to have a supply of Psychic Energy 5 in your discard pile. This deck offers a variety of cards that you can use to search through your deck for specific cards, but many of them require you to discard one or more cards. 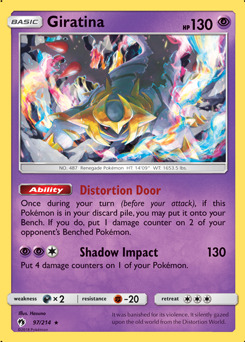 With Giratina LOT 97 in your hand, you have a card you won't mind discarding since you can use it's Distortion Door Ability to return it to your Bench, dealing damage to one of your opponent's Benched Pokemon in the process. 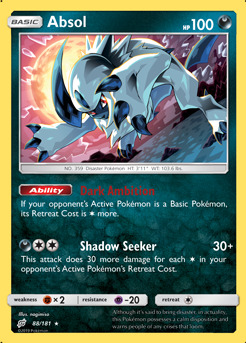 Shadow Impact is also a decent attack that can be used with the help of Malamar FLI 51. Absol TEU 88 is in this deck solely as a Bench warmer in the event that your opponent wants to retreat their Active Pokemon, as long as it's a Basic Pokemon. 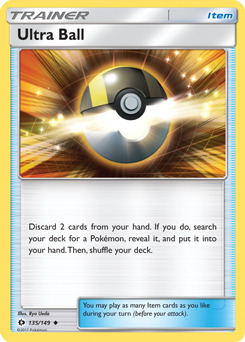 This is especially useful when your opponent is hoping to win via the use of Tag Team Pokemon. 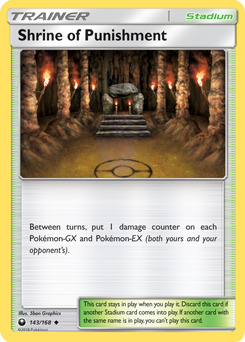 Make it harder for those Tag Team Pokemon to retreat so you can knock them out and take three Prize Cards. 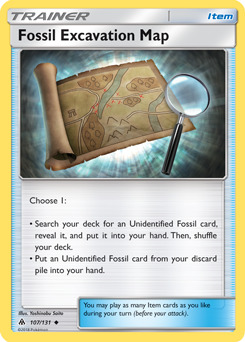 Surprisingly enough this deck featuring Aerodactyl TEU 130 has a full playset of Unidentified Fossil TEU 155 in it. (Yes, that is sarcasm.) You'll need these in order to evolve into Aerodactyl TEU 130 so make sure to prioritize finding these with Jirachi TEU 99's Stellar Wish Ability. Fossil Excavation Map FLI 107 is included in the event that an Aerodactyl TEU 130 gets knocked out. By using Fossil Excavation Map FLI 107 along with Rescue Stretcher GRI 130 you're able to return an Aerodactyl TEU 130 back to play as quickly as possible. Both Mysterious Treasure FLI 113 and Ultra Ball SUM 135 are a means for you to be able to find the Pokemon you need whenever you need it. Mysterious Treasure FLI 113 will most likely be used to help you find either a Malamar FLI 51 or Inkay FLI 50, but Ultra Ball SUM 135 can help find any Pokemon you need. 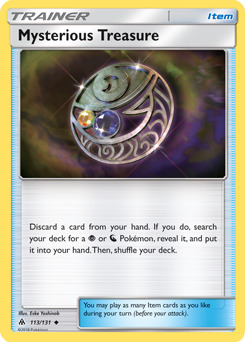 Both Mysterious Treasure FLI 113 and Ultra Ball SUM 135 require you to discard, and discarding either Giratina LOT 97 or Psychic Energy 5 will be your best option to choose. Escape Board UPR 122 is included in this deck for primarily one reason. 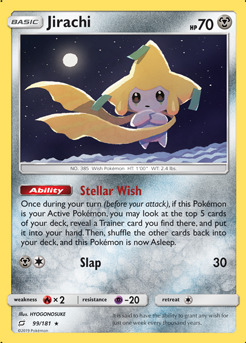 You'll usually want to attach Escape Board UPR 122 to Jirachi TEU 99 so that you can use Jirachi TEU 99's Stellar Wish Ability to find a Trainer card, retreat it for free (even while asleep), and bring up a Pokemon that can attack. In dire straits, you might need to attach an Escape Board UPR 122 to a different Pokemon, but this should only be done as a last resort. If you're familiar at all with Standard, these cards should come as no surprise to you. 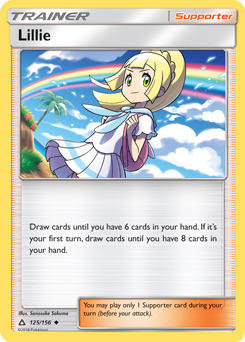 Both Cynthia UPR 119 and Lillie UPR 125 are terrific ways to draw additional cards and they've certainly proven themselves to be the primary cards to do so in Standard. Tate & Liza CES 148 is also a great way to be able to draw additional cards. 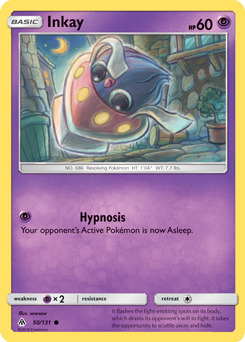 It's also very versatile as it has another mode that allows it to switch your Active Pokemon with one from your Bench. This can be important if you have an Active Pokemon of Jirachi TEU 99 that is currently Asleep that doesn't have an Escape Board UPR 122 attached. You can use Tate & Liza CES 148 to bring up a Pokemon that can definitely attack that turn. 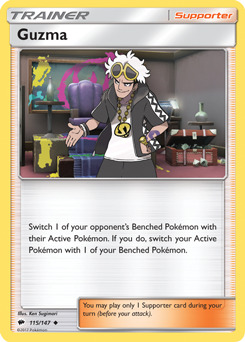 Guzma BUS 115 acts similarly, but he also allows you to bring up a weak Pokemon from your opponent's Bench to be their Active Pokemon. This can enable you to get a quick knock out at times. 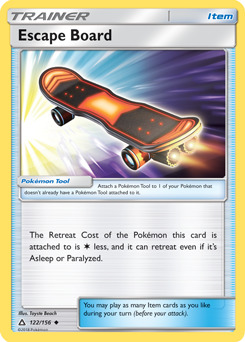 Choice Band GRI 121 and Shrine of Punishment CES 143 are both ways to punish decks that are playing Pokemon-GX. 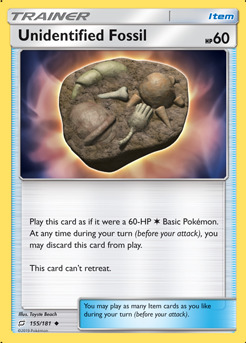 Since Pokemon-GX will often have a high HP amount, it can be tough for you to knock them out in one shot with 180 damage (thanks to Aerodactyl TEU 130's Fossil Fangs attack). Choice Band GRI 121 allows you to deal extra damage and Shrine of Punishment CES 143 punishes your opponent while leaving your team unharmed. 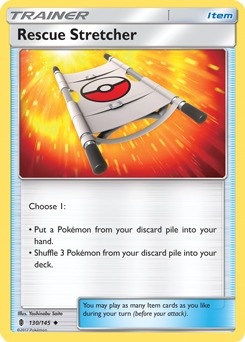 As I mentioned earlier, Rescue Stretcher GRI 130 is a great way for you to return Aerodactyl TEU 130 from your discard pile to your hand. Alternatively, you can choose to shuffle in a combination of Malamar FLI 51 and Inkay FLI 50 should your Energy channelers get knocked out during the battle. 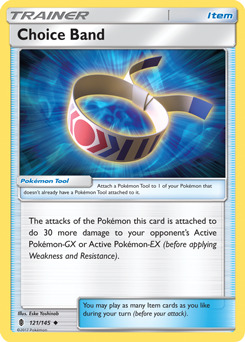 If your local meta has a ton of decks that feature Pokemon-GX, you might want to give this deck a try. It looks to have all of the tools needed to keep that style of deck in check. 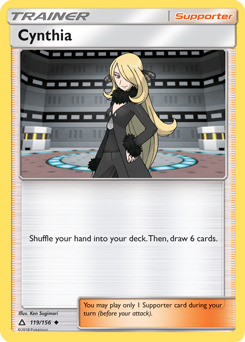 Thank you to PokeBeach.com Forum user Wechselbalg for posting this decklist.